Mobile devices are everywhere in the enterprise today, with many more devices on the way as companies embrace the mobile work world. Users expect to be productive across a variety of device types with constant access to the applications they need. 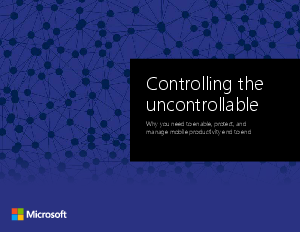 This report explores the four elements of an enterprise mobility strategy and how to address the challenges that your enterprise may face in a mobile environment.